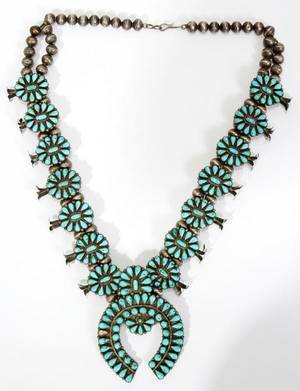 James M. Begay (Navajo, 20th century). 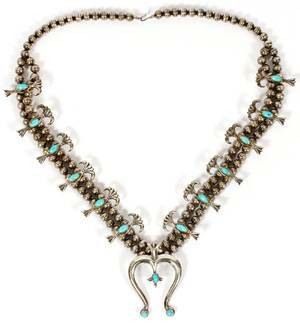 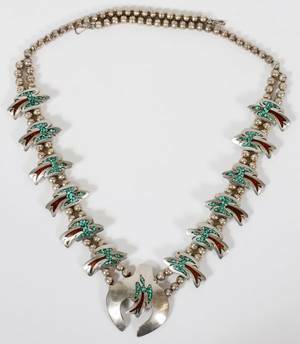 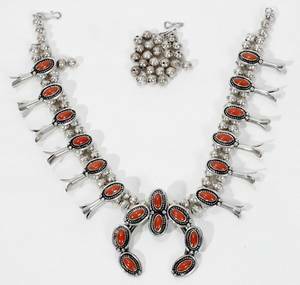 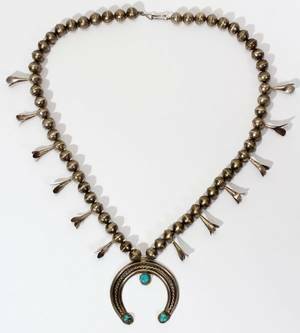 A Navajo silver and turquoise squash blossom necklace, composed of a double strand of small globular beads, interspersed with twelve blossom pendants, each with a cluster of stones, a crested naja, twisted wire and silver bead details, signed and monogrammed on reverse of naja "JMB James M. Begay". 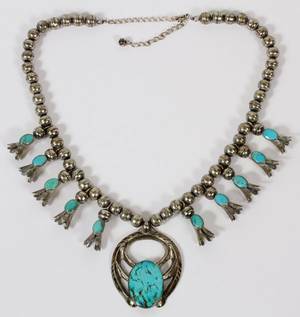 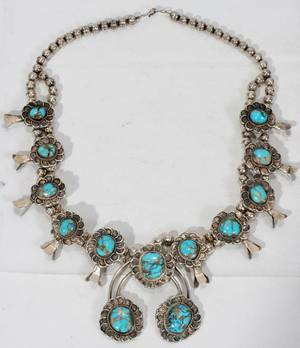 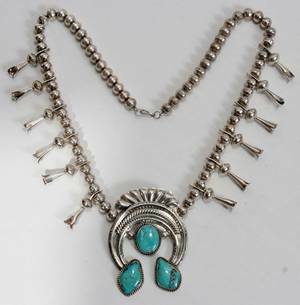 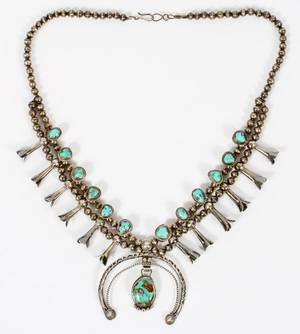 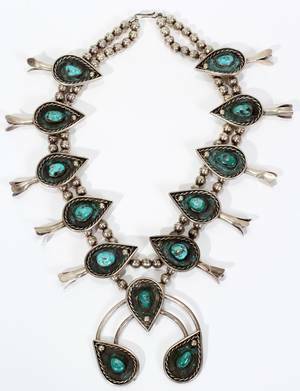 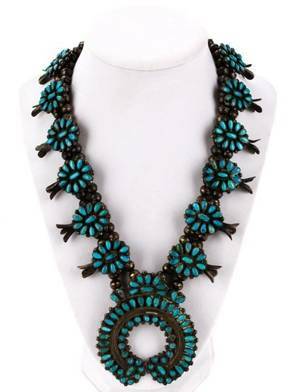 Length from clasp to 15.25"
041277: NAVAJO SILVER & TURQUOISE NECKLACE, L 20"